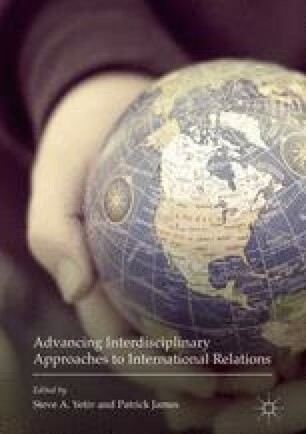 This chapter examines aspects of how international relations (IR) can benefit more greatly from history, with some emphasis on the study of international conflict from a social science angle. He argues that the historical study of change is especially vital to understanding IR and conflict in both theory and practice. Building off this exploration, he sketches a conceptual framework that bridges foreign policy at the sub-systemic level with IR in a new way to explain the behavior of states. Yetiv, who has conducted IR-oriented work as well as historically oriented research based on hundreds of documents that he declassified, argues that drawing on multiple disciplines and levels of analysis provides added leverage in explaining conflict and foreign policy.